I just like saying 'loquacious.' One of the most fun English words, seriously. Today's princess is once again brought to you from Hungary, and the title of the folktale actually translates into "The loquacious princess," I did not make this one up, people. Well, Princess Loquacious has a minor problem: she talks. A lot. So much, in fact, that no one can get a word in edgewise. And she does not only talk - she also swears and curses, which is very un-princess-like (but awesome fun to tell to the right audience). Finally we end up at the usual place: King declares that whoever can leave his daughter speechless can marry her. As the story goes on, three brothers set out to out-talk the princess. After the first two fail, the youngest decides to give it a try - he has fallen behind on the road because he picks up everything he sees, including eggs, rusty nails, and cowpies. Once he is in front of the princess a hilarious exchange ensues in which he has an answer to everything, and the banter results in the princess breaking down in tears of laughter... and marriage. Who doesn't like a good banter between people destined for each other? TV shows run on that stuff. I also like the idea that the guy can keep up because he keeps his eyes open along the road and picks up random things that come in handy later. That's the way to go through life, people. 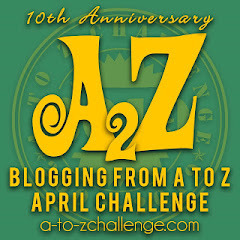 Have a nice A to Z free Sunday! See you all next week! Her name is Maria Morevna. She is from Russia. I have read a lot about her in the past months. I did a version of her tale at MythOff USA (see below) for Slavic mythology - in that version, she was the goddess of the Underworld, who, very appropriately, escaped with Koschei, the god of the underworld. 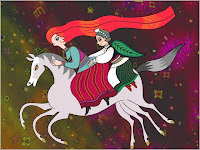 In folktales, however, Maria Morevna turned into a princess. The first time we see her in one of the tales is across a battlefield full of dead soldiers - when Ivan tsarevits, the hero, inquires about the massacre, he is told that Maria Morevna, a princess, killed all those men. Maria Morevna is clearly a warrior. 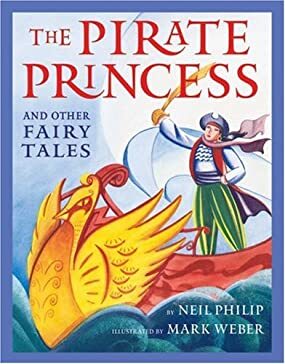 I especially enjoy the fact that this story is the opposite of the Bluebeard tales: the prince is left home while the princess goes to war, and opens the one room he was not supposed to open, which leads to a whole world of trouble. The princess' warlike nature is never quite explained in the stories. She just happens to be a warrior that can slay an entire army, and still look attractive when a prince visits her tent after. This tale was recently turned into an amazing mythic fiction book called Deathless by Cathryn M. Valente. Check it out, it is a gorgeous book! Reporting in from the magical 7th MythOff in international history: Johnson City's rockin' MythOff Origins. We like tampering with the MythOff idea - within the limits of the original guidelines, of course. This time around we played with the selection process for the featured mythologies. Instead of drawing the mythology from a hat like before, we left it up to the storytellers to pick a myth from their own personal cultural background or tradition. This is especially a fun game to play with people who are self-labeled "American mutts." We had a new venue too this time: a bar called Side EFX, with drink specials, tall chairs, and a neat little podium stage in the corner. The owner was not entirely sure what storytelling entailed, but as soon as the first story was under way he leaned on the counter with rapt attention, and by the end of the night he was so enthusiastic that he listed us ideas for future events. He also cast his votes for the tellers and cheerfully noted that all of them won. The host of the evening was Griffin Van Camp, veteran MythOff-er and my favorite Scion Game Master. He was funny, collected, and on top everything. Including the voting questions. We had an audience of about 30 people, cheerful and very responsive. Because of selecting from our own traditions, the entire thing felt a lot more personal. Every teller chose their story first, and then we were paired up, and came up with themes to connect the pairs. It was a very laid-back and free way of preparing for a myth slam, and yielded amazing results. In the Hebrew/Christian corner: Paul (who took on the risky role of calling the Bible "mythology" in East Tennessee and lived to tell the entire tale!) - with the story of Adam and Eve smoking the Tree of Knowledge. No comments. It was a surprising yet hilarious opening to the evening. In the Welsh corner: Joshua - with the story of Taliesin. Reaching back to his family's Welsh roots he came up with an amazing telling of Taliesin's head filling up with infinite knowledge. In the Crow corner: Travis, exploring his Native American heritage and the amazing love story of Red Shield and Running Wolf, that, surprisingly for a Romeo and Juliet kind of setup, ended in peace. In the Persian corner: Sam from Iran, telling us a 1600 year old love story that, surprisingly for a folktale-like setup, ended in tragedy. Sam was a first-time MythOff teller, and did an amazing job - he was funny and delightful, and the Persians won the round. 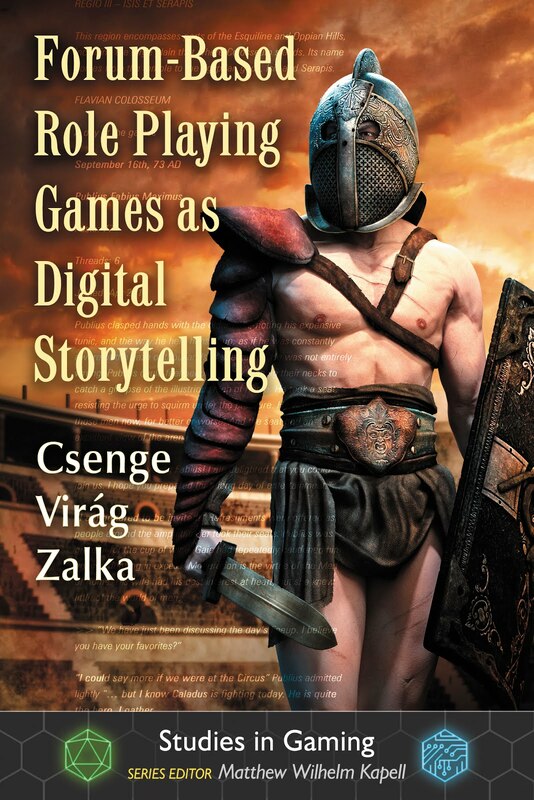 In the Hungarian corner: Yours truly, choosing to tell the tale of Attila the Hun and the Sword of God. As far as Hungarian mythology goes, this is as badass as you get. In the Colombian corner: Carolina, from Colombia, telling a tale from Ecuador (that used to be the same country 200 years ago), telling the myth of the Tree of Life and how people were punished for their greed by losing it. Beautiful, gorgeous story well told. In the German corner: Our lovely actress Meg Zinky, presenting the tale of Brunhilde and Siegfried with wit, humor and great language. In the Scandinavian corner: Our very own Cathy Jo, with the mythical love triangle of Loki, Thor and Sif. Norse vs Norse. Scandinavia won this time. We have one more MythOff coming up for this season. If it ends up being half as good as this one, we will be more than satisfied. 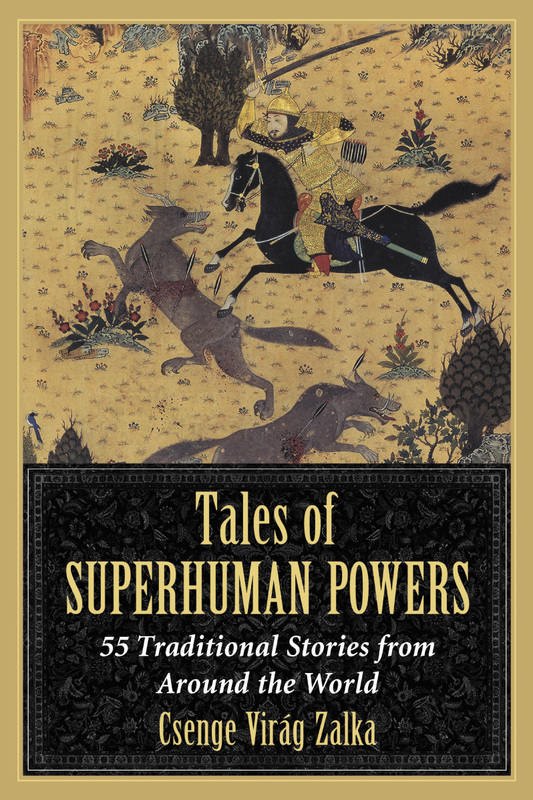 Both of the tales today are brought to you from India by the marvelous folktale collections of A. K. Ramanujan. I like this story in particular because it also features a smart and environmentally conscious prince. When his kingdom is plagued by snakes, he eventually figures out that curing the Snake King (and making sure he keeps his subjects in line) is better than killing every single one of them. In order to do that, he needs some special jasmine flowers (ever had jasmine tea for a headache? Uncle Iroh knows his stuff!). So the quest is on: locate princess, marry princess, make princess laugh. Not necessarily in that order. I have a soft spot for tales about making princesses laugh. They show the importance of laughter in a relationship. And in the world in general. The type is AT 559, in case anyone is interested in reading more. 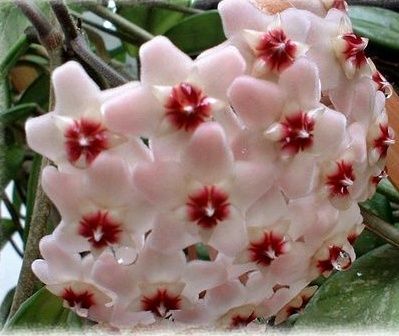 The other tale that I want to mention here is called The Jasmine Prince. It is about a prince who fills the air with the scent of jasmines when he laughs - but it has to be a true, heartfelt laugh. Of course sooner or later someone will try to force him, and it will not go well. For the rest, read the story. And then go on and read the entire book. One of the best folktale collections I have read. And then go drink some jasmine tea. PS: If you are interested in Indian tales about flowers and plants, I also highly recommend this book. 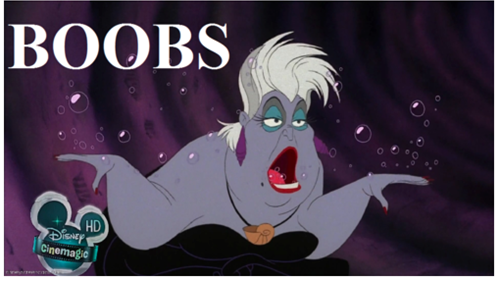 Okay so this princess actually existed, but her life is the stuff of legends. She is also not a princess in the European sense of the word. Whatever. Khutulun was the niece of Kublai Khan, and famous for her skills in wrestling. Apparently she was quite big and strong for a woman, and accompanied her father into war. Besides wrestling she was also skilled in other aspects of a warrior's training, including horseback riding and archery (let's note that this is Medieval Mongolia here, if you can't ride and shoot you don't live, so her own family probably did not see it was impressive as we do). She refused to marry anyone unless they could defeat her in wrestling - but no one ever did. All her suitors went home beaten and she remained unwed, even when her parents begged her to fake a fall for a particularly qualified man. I have read plenty of stories about strong and independent women in my career as a storyteller, but surprisingly enough Khutulun's story is not as well known as it should be. So. Here. Full story in the link above, Wiki wisdom here. Today's princess is, once again, brought to you from Hungary, but also from other places. 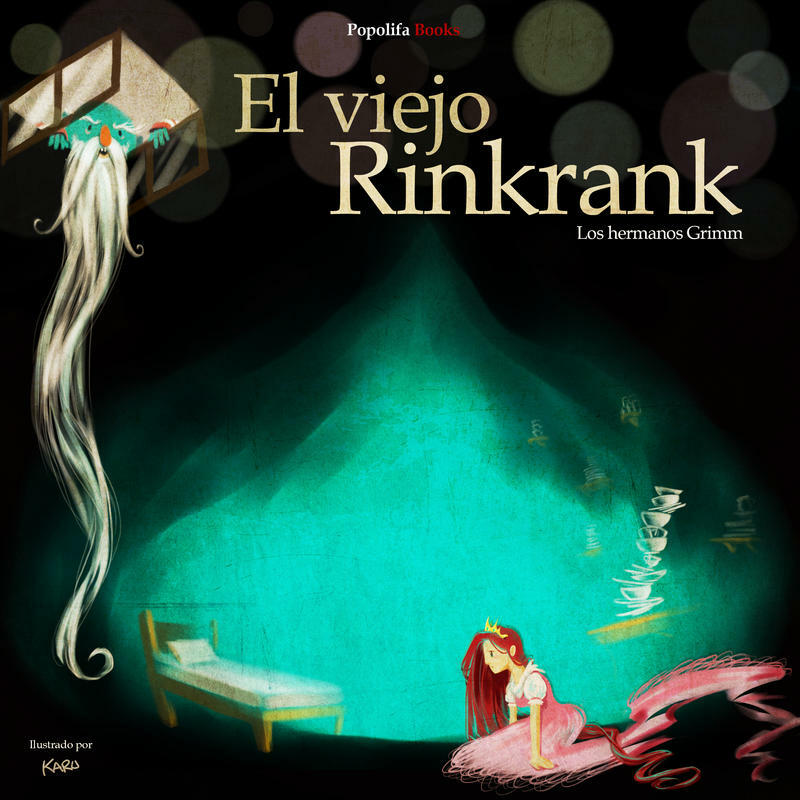 The basic idea is the same: There is a princess with such keen eyes that she can see everything in the world. The quest is to hide from her - whoever manages to do so (one time out of three) can marry her. All right, so this is not exactly all that different from damsel-in-distress tales, BUT, at least the princess is taking active part in the decision - by eliminating all possible suitors. Where would you hide from someone who can see through the SUN?! Of course, in the end, there will be someone to figure out how to hide in plain sight: the closer you are to the damsel, the less likely she is to notice you. Talk about taking advantage of being friendzoned! This tale also has a Hungarian cartoon version from the same series as the dwarf princess story. You can find it on YouTube here. 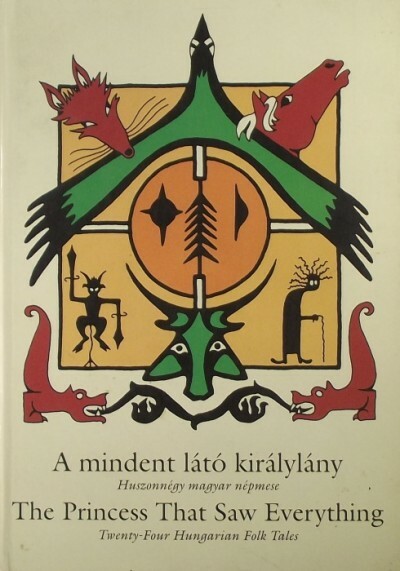 If you want to read the Hungarian version, see the book above. Since we already had a dwarf. This princess comes to you from Thailand, particularly, from this book. The giant princess is not really the protagonist in this tale, as much as one more problem two star-crossed lovers have to overcome in order to finally be together. On the other hand, she is more interesting than the actual heroine. The giant princess' name is Princess Phakar, and the is the only daughter of the widow queen of the giants, Queen Warsan (I wonder what happened to the king). She is young and innocent: she has never even tasted human flesh before. This seems to be kind of a coming-of-age ritual, because the Queen, as soon as her giant soldiers bring her a human prince (who happens to be the hero of this story, snatched away from his bride who at the time is disguised as an old priest, don't ask, long story) - orders the rare delicacy to be brought to the princess for consumption. There is a problem: Princess Phakar falls in love with the human. Talk about ill-fated love. If they could overcome the difference in size, there is still the matter of the whole star-crossed lover destiny thing, and the fact that the "other woman" is the daughter of the god Indra. And you think your love life is complicated?! Unfortunately I have not managed to get my hands on the original book yet, so, courtesy of Google Book Preview, the last page of the tale is missing. You have been warned. I am guessing the star-crossed lovers get together, and the giant princess can be happy to escape with her life. Let's hope the next human she encounters is not called Jack. No, not the Princess and the Frog. This is a princess who is a frog. Pay attention. Today's princess is brought to you from Russia. 1. Princess turned into a frog as a curse. Right? Right. 2. Prince looking for a wife, in a very particular way: he and his brothers shoot out arrows, and whoever brings them back will be their bride. Kind of wasteful and dangerous, but this is fairy tale land, so two arrows are brought back by rich girls, and the youngest prince's is retrieved by the frog. Oops. Princess Frog can shed her skin. She only does that when no one is looking, and does work to prove that she is a worthy wife (yes, he married the frog before he knew it was a princess!). But once her husband finds out and burns the skin, she flees home, and prince charming has to go out and brave the road and Baba Yaga (and her sisters) to find her again. The picture above depicts the part of the tale where the frog princess dances in front of the king's court. By shaking her sleeves she conjures up birds and ponds and trees and all kinds of wonderful images that disappear once she is done. She is obviously no ordinary cursed princess; she is a cursed princess with magical powers. Daytime frog, nighttime sorceress. This folktale exists in many versions around the world (sometimes with a cat, a mouse, a hedgehog, and other fascinating creatures involved). It belongs to the folktale type AT 402 - Supernatural bride. Today's princess is brought to you from Malaysia, by the author if this neat little collection. The story starts out with ("the prophet") Adam and Eve having a fight. Start at the Beginning, right? With a capital B. Well, this fight ends in a breakup because Eve decides to move "across the sea" and become "the queen of the other side." In addition to that, she also has a daughter, a princess. 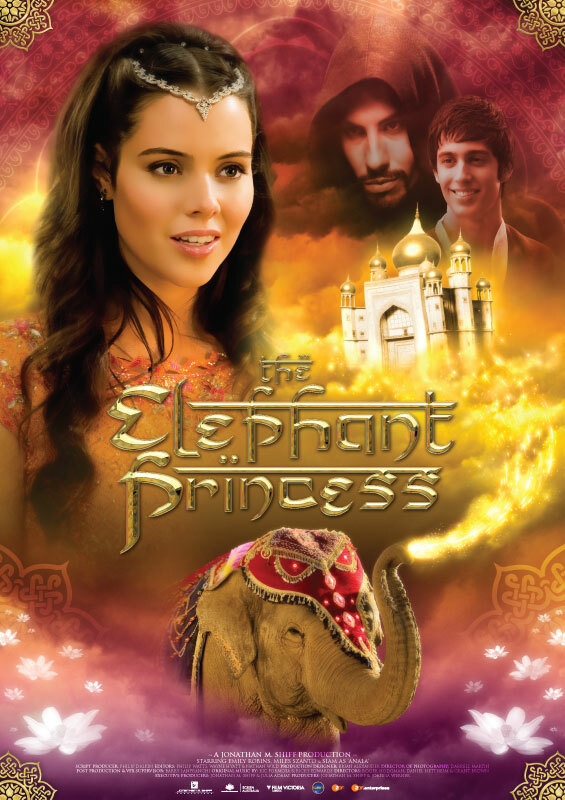 Princess soon grows curious about what is across the sea, and defying her mother's orders to leave people's fields alone she crosses the water and stomps around until she is turned into an elephant for her carelessness. Oops. The prince that lives nearby sees her in her new form, and, guess what, he has never seen an elephant before. When he sees the monster "with tails on both ends" he hits in on the forehead with an iron pike and breaks the tip of the weapon off into the elephant's skin. Elephant princess runs home, and the prince follows, suspecting that it was not just an ordinary monster. The rest is pretty standard: he finds the princess, removes the iron blade from her forehead, brings her back to life and health, and marries her. The moment the princess and her thirty-nine attendants set foot on the Prince's fields after the wedding, on their way to their new home... they turn into elephants. So, the prince now has forty great elephants instead of a wife. Some would call that a good deal. I suspect this story was supposed to explain the origin of elephants. It certainly did it in a very original way. Moral of the story: Treat elephants well, one in every forty is a princess. Today's princess is once again brought you from Hungary. I'm Hungarian, deal with it. Also, I am not being insensitive here. She is actually a Dwarf. The story, this time, does not start with her. It starts with a prince called Palkó, who has two handsome brothers, but he is as short as a child, and his mother is so aad about this fact that she gets ill and dies. Of course the king blames his son for all of this. According to the queen's dying wish, a lily-of-the-valley has to be planted on her grave and guarded day and night. The king sees an opportunity in this to keep his son occupied. Prince Palkó and the old woman who brought the shining flowers sit by the grave together, day and night in quiet awkwardness. As soon as the old lady falls asleep, a long-bearded Dwarf springs up out of the blue and tells the Prince a secret: the lily-of-the-valley is in fact a Dwarven princess, turned into this shape to be smuggled out of the kingdom of the Fairy Queen. Who is evil, by the way, and jealous of the princess' beauty. The only way to turn the flower back into a beautiful Dwarf maiden is to break the Fairy Queen's ring. The opportunity offers itself when the Queen and seven of her witch-fairies (!) show up to get the flower back. After a couple of tries Palkó manages to get a hit in on the ring, and suddenly, he is presented with a princess just his size. The lovers have to flee now. Fortunately for them the princess can call upon a chariot drawn by butterflies that takes the across the sky and back towards the Dwarf kingdom. But the Fairy Queen is hot on their heels astride a horse with seven legs, clearly bought for a discount price in Asgard, and she almost catches up to them when they finally round the Sun, and that is the border where the power of evil ends. Palkó becomes a prince, marries the Dwarf princess, and all is well in the world. This story has been turned into a cartoon and is available on YouTube here. I personally have always loved the idea of a Dwarf princess, beard or no beard. The fact that her beauty beats Ilona the Fairy Queen just makes the whole thing better. Fae can't be the best at everything all the time, right? 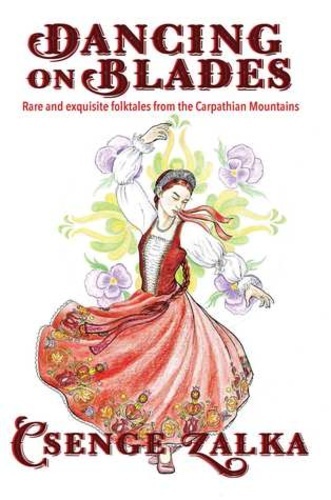 There is not much to know about dwarfs in Hungarian folklore at all, fairies are much more popular. This story is a rare exception. It is also interesting to note that apparently the Dwarf princess was a ward in the Fairy court until they grew jealous of her beauty. Talk about politics. Today's princess is brought to you by famous folktale collector and teller Benedek Elek, from Hungary. I remember reading this story as a child and being thoroughly creeped out by it. You are welcome. This princess starts out with very princess-like supernatural qualities: roses fall from her mouth when she laughs, pearls fall from her eyes when she cries, and if she walks barefoot golden coins appear from every step. Naturally she makes her father's kingdom quite rich, and everyone wants to marry her. Except for the neighboring kingdom's heir, that is, because he is too busy fighting a war. But fear not, the queen goes behind his back and mail-orders the magical bride to be delivered upon victory. As usual, there is a hitch in the plan, no pun intended: the woman who is escorting the princess to her new home, while her grace is cheerfully dancing out gold for the poor along the way, decides her ugly daughter would make a much better queen, so she calls up a storm (witch alert! ), carves the princess' eyes out, and tosses her in a ditch. Ouch. It doesn't get better from heir either. First the princess is found by poor men who help her up, but as soon as they see the gold coins under her feet they just lead her around in circles until she drops from exhaustion. Next a gardener picks her up and takes her home, but his wife complains that they can't keep a blind chick around. Fortunately for said blind chick, there is a witch in town who deals in eyes (we are getting into Minority Report here). The first pair the gardener takes home and applies to the princess' eyes is not quite right, because the moment they are in the princess curls up in a corner and stares into a hole for hours until the gardener starts to suspect that he got cat eyes for his money instead of human eyes. Fortunately once again, the witch has a return and exchange policy, and she swaps the cat eyes for a pair of brand new human ones that she happened to find in a ditch (!). Now at this point princess has had her eyes carved out twice, and moonlighted as a cat for a while, so naturally when she gets her own eyes back she cries a ton of pearls, laughs a garden of roses, and then moves on to marry the prince who was too dumb to tell a princess from a kitchen maid in a dress. But before she does, she has to work as a maid to said wench in order to get close to the prince. It is not long before the wench slaps her for being clumsy with the hairbrush, and out come the pearl tears again, revealing who is the real deal, and who is the fraud. Happy ending, at last. Being a princess is not always sunshine and cupcakes, people. I don't usually tell this story to children, because even though they find the eye swap hilarious, it never fails to creep the hell out of parents and teachers, and then all hell breaks loose backstage. It is very successful for adult female audiences, though. Go figure. This folktale is another very popular type called AT 403 - The White Bride and the Black One (from the times when white was considered beauty and black was... not). It usually includes a true bride and then an ugly/mean girl who tries to get rid of her and take her place. Stories get very creative with ways of killing or almost killing a princess, but the eye thing is still the most graphic I have encountered. Yuck. Also, one can't help but wonder what would have happened if the princess kept the cat eyes. Now there is food for thought. Today's princess is brought to you from Thailand (although the story is known in other Southeast Asian countries as well). 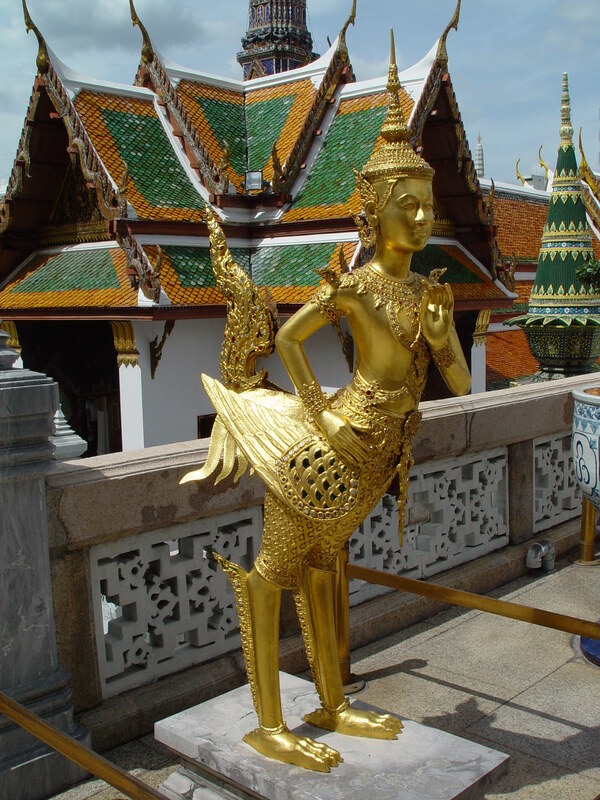 Her name is Manohara, and she is a Kinnari: half bird, half human (lower half swan, as shown in the picture). She is not just any Kinnari either, she is the youngest of the seven daughters of the King of the Kinnara. She lives in the mythical forest Himavanta together with many other amazing creatures of the mythology of South-East Asia. Manohara wears a precious gem on her forehead that gives full control over her to whoever holds it. This becomes important as soon as a hunter called Halaka lassoes her and drags her out of the lake where she was taking a bath. The hunter proceeds to hand the swan-girl over to a prince called Sudhana, who promptly falls in love with his captive (but not enough to give her back the jewel). Manohara returns the feelings and becomes his wife. In the second part of the story the prince goes away to war and the Kinnari's jewel is handed over to the queen mother. When some advisors in court start scheming to have Manohara sacrificed for the success of the war, the queen finally hands her jewel back and lets her escape. Manohara leaves clues along the way for her husband, and then flies home, and spends her time "trying to wash the human smell off." Of course the prince eventually finds her, following the clues. He is a hero, after all. You can read the full story here as depicted on the reliefs of the temple of Borobudur in Java. This story belongs to a folktale type known in most parts of the world, called AT 400 - The Swan Maidens. You can find several other versions listed here and here. In China a similar story is the basis of a yearly festival. This tale type usually includes a male hero catching a bride when she sheds her animal form (usually a bird, sometimes a seal - these are called selkie stories). There is always something that gives the man power over the supernatural bride: it is usually the shed skin or feathers, or sometimes a robe or a veil. In this case, it is a jewel (since Manohara does not shed her feathers to swim in a lake, which leads to her being lassoed around the neck instead of just having her skin stolen, ain't it nice?) Usually the bride finds this hidden item later, after having children, reclaims it, and returns to her own home, leaving the husband and the bunch of half-human babies behind. It is a woman's tale, and rarely ever has a truly happy ending. Even in Manohara's case the means of her becoming the prince's wife are more than questionable and scream Stockholm syndrome. But let's not forget, this story was born in another time, and another place. Because, you know, A is for Apple. Even in Hungarian. Duh. And no, I am not talking about Snow White. She has been told and re-told in so many genius ways. No, the first Weird Princess of the A to Z challenge is brought to you by master writer and storyteller Italo Calvino from Florence, Italy. Apple Princess lives in her apple. She only comes out once a day to brush her hair and do her make-up. I kind of picture her like a real life Yankee Candle, with golden-red hair, red cheeks, and a strong sweet healthy apple scent. She doesn't do much - it will turn out later that she is under a spell - and she never says a word. 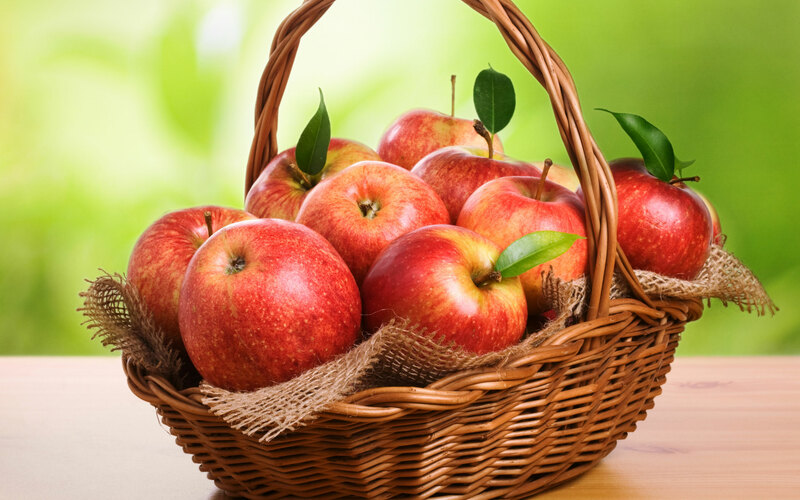 Later on in the story we also learn that the apple is not only a home for her; it is part of her body. When the apple is cut, it bleeds, and when the princess is summoned, she will have scars all over her body. Apple Princess in one in a long line of fruit-based instant wives in folklore: Similar stories exist with oranges, figs, lemons, citrons, pears, walnuts etc. She is not really an active participant in her own story. She gets engaged, saved, and married. Then again she is, technically... an apple.